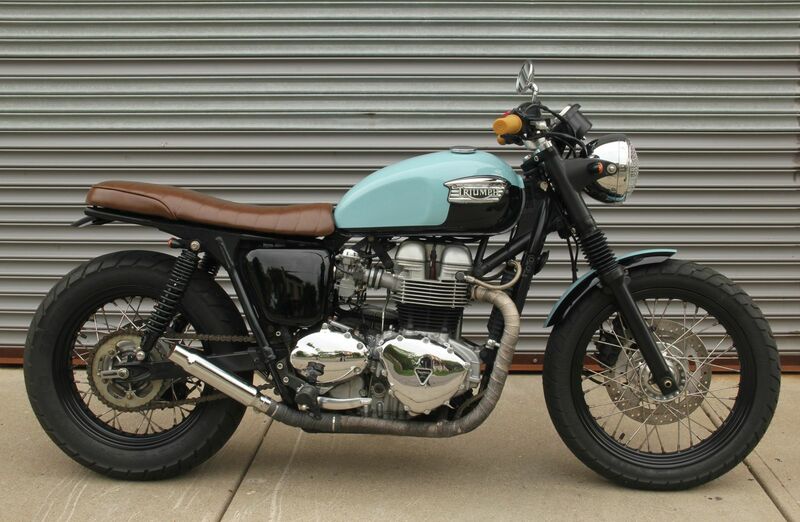 “We had also seen a 1965 T120R that had a similar paint scheme and two-tone design. It’s not a vintage bike though and we didn’t want anyone to think we were fooling them, so we shifted the hue a bit, and tried to balance the color saturation.” Through this Jimmy had in the back of his mind a robin-egg-blue seen on Mini Coopers for use on the tank. Jil wanted a rich medium brown seat with just enough orange to connect with the grips. 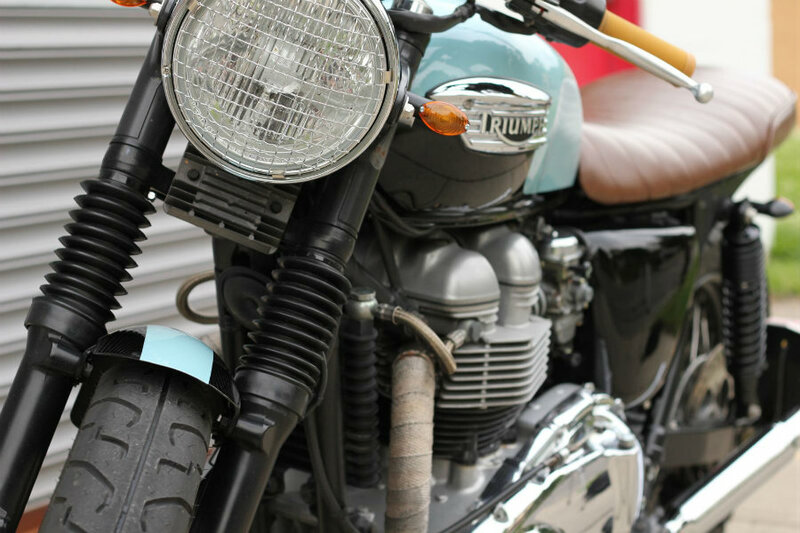 Jimmy was getting tired of all the overpriced bolt-ons that a lot of Triumph owners are using these days and decided he was going to make his own brackets and mounts and hack up the airbox instead of buying an ‘Airbox Eliminator Kit’. “Isn’t your hacksaw an airbox eliminator?” he asks unapologetically. A big part of the challenge of this custom work was to see how cool they could make this bike for as little money as possible – and get it all done within a couple of weeks. After buying it for $2900, then selling off $350 worth of extraneous parts and putting $700 back into it in modifications the end result is a killer ride for $3250. 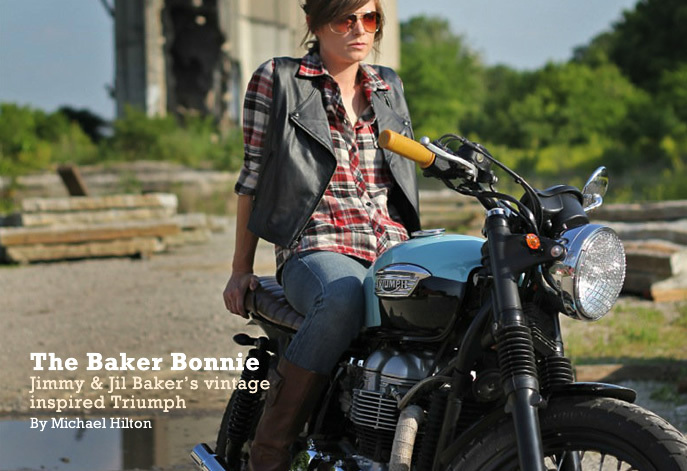 Slightly feminine, but rowdy and simplistic enough that it could also be taken as a vintage inspired bike that is a blast to ride. Check out this husband and wife team at http://jimmybaker.com.